The world of the Chronicles is populated by not one, but eight intelligent peoples. Exactly which began the journey towards civilisation first is lost somewhere in the mists of time, all we know is that centuries of trade and social interaction have left a mix of races in most areas. Here and there, exclusion zones are set up to keep away other races, but these are few, and often centred upon sites of little interest to the others anyway, and cause little friction. As is the way of such things, one can never be quite sure that all the races on the planet have joined the "civilised world", but for now, let us catalogue those that are known. 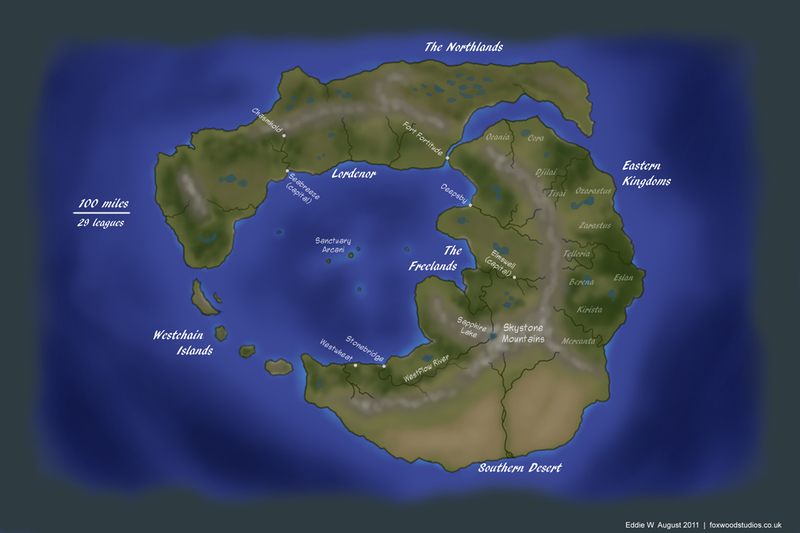 The world of TFC gives significant feature to good old fantasy magic with a degree of customisation. Drawing on the classical elements of earth, fire, wind, and water, a magic user will typically find they have one natural strength element, and be able to additionally master one other, always adjacent upon the wheel. 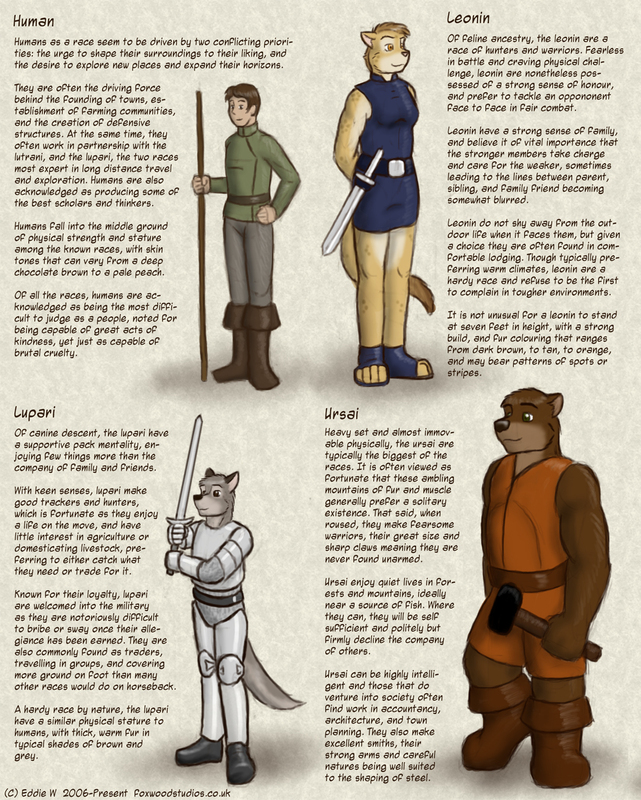 The different elements, and different pairings, will give each magic user access to an array of abilities unique to their speciality. 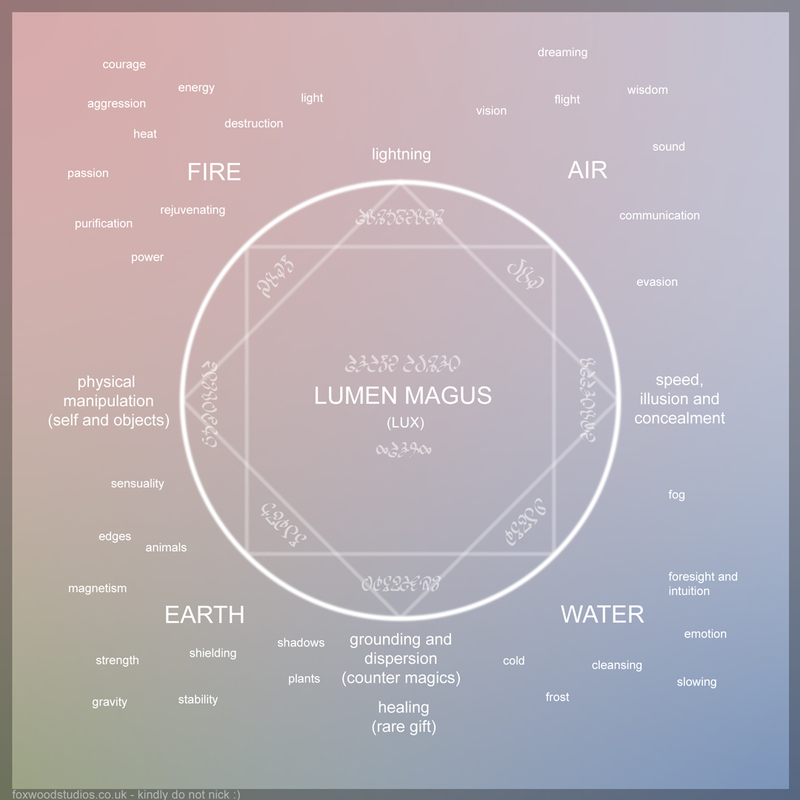 The following diagram is something of a brainstorm with regards to the sort of spells and abilities that might be available to the masters of each element.